« Is It Something, or Nothing? Since my blog is a personal reflection page, my personal experiences generally guide its content. My experience last evening took me to a conversation about the title of my Ning site The Educator’s PLN. It was a drawn-out discussion on the choice of the word “The” in the title of the name that I created for the site. It is based on that conversation that I feel a need to at least describe my thoughts and understanding on the topic of Personal Learning Networks that led me to choosing the Title of my Ning site. If you haven’t clicked off of this post yet, I am grateful, because I would have. I find it hard to believe that something this simple would get anyone upset, let alone me. If my house were burning down and I yelled to a crowd of onlookers, “CALL 911” there are several things I would not want to hear coming back. “What’s the Magic word?” and “What do you mean by the word CALL?”are two questions that come to mind. Some people need to argue for the sake of argument and not in an effort to acquire a clearer understanding. This is a quality probably better suited for a lawyer than an educator, but that is an argument that I will not pursue. The point that I believe that these individuals attempted to register with me, was that the word “THE” suggested that this was the only place one could go to be part of THE PLN. If anyone else has that feeling, then I really screwed up in my choice of Title. My personal understanding of what a PLN is, may best explain my choice of words. 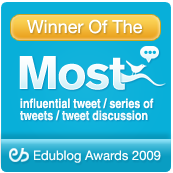 The fact that this label of “PLN” is fairly new to some and also unknown to many educators lends to the confusion. That combined with the number of similar labels referring to the same or very similar concepts further confuses things. We start with Personal Learning Network and then Professional Learning Network. We have the Personal Learning Environment and the Personal Learning Community. There are a number of variations which interchange the words Professional and Personal. To attempt to clear things up a little, let me explain my understanding of the concept and you may call it anything that suits your purpose. I clearly understood this concept from the time I left elementary school and learning became more complicated than it was in elementary school. I quickly adapted by surrounding myself with people who could explain things differently than they were presented in class. I personally selected the people I needed to help me along with my learning. I actually created a network of people I could go to for various things and they were not always academic. Since this network of people was constructed with my personal selections to help my personal needs for learning, I guess I could call this my personal learning network. It was unique to me and to my learning needs. It changed over the years as did my learning needs. This was not a personal learning network for other people. They needed to get their own. They could use some of my people for their network, but there was no exclusive ownership of sources. Now, with the advent of technology and the development of Social Media, I can extend my reach. I can grab sources globally. And even better there are several free Social media applications I can use for this purpose. I used Email, Linkedin, FaceBook, MySpace, Twitter, Skype, and Delicious to connect with people and acquire sources. This network of people helped me learn by answering questions, passing along articles, websites, experts, podcasts, webcasts, online conferences. The best part is that it was all directed by my personal inquiries to meet my personal learning needs. This is also a flexible and adaptive network. It expands with new sources, information, concepts and tools. It works for me and that makes it personal. It will not work for every learner. The sources that I have chosen may not be the sources others would choose. They need to create their Personal Learning Network. There is NO “The PLN” if there were it would be “The LN”. Now getting back to my Ning site, I had many questions from many individuals about sources. People wanted to create their Personal Learning Networks. They needed a little help getting started. They needed people to contact, how-to tutorials, groups of people with common interests. I knew how to do this, because that is how I learn. I created a site to help any educator who needed help developing his or her personal Learning Network. It gave them a means to do it. It is not the place to go for an instant PLN. It is a place for direction and sources. I needed to call it something, a name that would conveniently fit in a tweet. Hence, the name “The Educator’s PLN”, a singular educator and a singular personal network for learning. 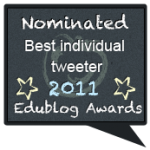 It neatly abbreviated to EDU PLN for tweeting purposes. I want to be clear, I make no claim to ownership of anything about any PLN other than a Ning site that I created to help others develop their own Personal Learning Networks. I do take credit for my own PLN which consists of 2 Ning sites, 5 Linkedin Educational Groups, a Blog, a twitter account, a FaceBook account, a Skype account, a delicious account, an author stream account a Google reader account, Google mail, and probably a dozen other things as well. 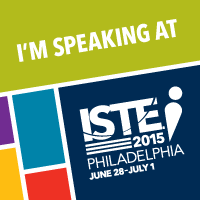 I am also the co-creator of #EDCHAT which has had a profound effect on my personal learning as an educator. That is my Personal Learning Network and not yours. Now, I need to get back to my evening discussion. I imagine that a very good argument could be made to call The Old Man and The Sea, The Old Man and the Fish, but why? I named MY NING site The Educator’s PLN not because it is the place to end up, but one possible place to begin for those who do not know where to begin. If it is not for you, do not join. If you join and do not like it, follow the rule of two feet. Get up and leave. All I ask is that you let me call it what I called it. If we keep arguing about the little stuff and not the ideas, it will take a long time to get from where we are to where we need to be in education. The idea of PLN’s is taking people from places of isolation to places of expanded thinking. We cannot keep saying no to everything without offering alternatives and expect things to change on their own. Rather than spend time arguing semantics, we need to address real issues. I promise to think more about Titles if I ever decide to create something that I believe will help others, because words are important. And now your comments, please. Hey Tom…loved this post. I agree it is about YOU and what your learning needs are, not what someone sets up for you. The term Personal Learning Network to me is the people you choose to connect with to help you learn. I am sure there are definitions out there but that is the way I see it and since it is about me, that is how I choose to see it for myself. That is the “personal” part. I love that. I was asked to moderate a session on the definition of Personal Learning Environments recently and I started it off by saying that we will never come to a totally agreed upon definition for this term, but it is more important to understand the “why” of it as opposed to the what. We could argue about the wording and exact meaning of it everyday but does that really move things forward in education? The “why” is the most important part. Honestly, I am just glad there is such a Ning as yours. I never considered it “the” only/ultimate PLN for every educator but as a place for educators to go to be a part of one. Personally, I use twitter, but am going to go sign up w/ your Ning now since #ntcamp has gotten me thinking about finding ways to get more involved with fellow educators. Interesting perspective, Tom. I guess I’ve always thought, selfishly, that the “personal” in PLN is the best word choice, because the network is mine — I created it. I think when starting a PLN, it’s like throwing paint on the wall to see what will stick. We follow people in our areas of interest and hope they will offer good stuff. Eventually, we gravitate to the few who offer the best information. Thank you Tom, for discussing this here. I don’t care about things like technicalities and semantics of names and I certainly appreciate the goal of the Educator’s PLN site. I sincerely value all of the work put into the ning, and I do find lots of resources there when I remember to go there! I am not sure you caught my part in the discussion last night as there were lots of tweets flying around. I was just wondering about how we keep the “all voices are valuable” idea when there are “featured members’. How does one become a “featured member” of a community? Is it because they post a lot there or have something unique to offer? Thanks again for writing. We really don’t need to get criticized when we do something to bring people together, but it’s good to reflect and ask questions once in awhile. Oh Boy, Tom… people are control freaks. Simply stay focused. Yes this is a tempest in a tea pot so I can understand your consternation. I always read it as “The Educators Professional Learning Network” as if the network was a collaborative endeavor. I think that was your intent. ‘Personal’ or ‘Professional’ makes little difference; we conceive learning as a connected activity. It is only ours and individual in the sense that we each have a unique result from the collaboration. I am as susceptible to the importance of word meaning as anyone but I am striving to focus on the denotations more than the connotations. We argue about what to call a cell phone or more importantly, what to label our professional activity (teaching). Labels matter, but not that much. Your Ning serves a collective purpose. That is all that matters. 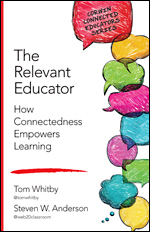 ‘The’ might simply reference the PLN as a thing we all strive to develop. First of all, I haven’t followed any of the conversation leading up to your post Tom. I do hear your frustration though — so I want to respond. When I look at the Ning site in question I see a crowd of members who, in my opinion, all “own” The Educator’s PLN. I know that as administrator you *do* have some control, but the whole concept is pretty much non-hierarchical. Everyone has their own page, organic groups can form, etc. and the implementation is not locked down. Anyway Tom, I hope that folks can start taking the title in a more lighthearted way and focus on what to do when they get there (or leave, as you say). Heavy applause coming from the crowd. A standing ovation. Not because YOU created my PLN but because you got me thinking. And it is just what you stated my PERSONAL learning network. Mine probably has a few more special educators and deaf educators than yours. That’s okay because that is what makes it personal. When you are in high positions of influence, someone is always going to mince your words. But from one educator to another, thank you for all you do. Think you have fallen prey to trolling Tom, and if people have the time to quibble over the small things, it really is not worth biting. Have had the same queries about the in my moniker. If i took seriously all my blog comments and my FB theLingoGuy page ones I would have no time for anything fruitful like channeling energy into worthwhile and mutual endeavours. As long as you can justify why you use what you do as a title I do not see the importance of splitting hairs. It may rile us but some people are happier complaining, rather than real engaging people. What I can’t understand is why it’s that brownish colour? Research has shown that brown is NOT the optimum colour for learning! How can it be called THE Educator’s PLN if it’s brown? Completely kidding, btw! Great points! I haven’t thoroughly read all of the comments, so forgive me if I am being redundant. I don’t really know what your original intent in naming your Ning was, but to me it means The Educator, not The PLN, and that means each Educator. That said, it is your Ning, you named it, and you have the right to call it whatever makes sense to you. Love (and agree with) your take on PLNs. The bigger takeaway message for me in this post is how educators, and education discussions, can easily get off course. I wonder if that is a sign of intellectualizing things, rather than addressing them. Maybe educators as a whole just don’t like to roll up their sleeves and get to work, we prefer quibbling over the little things. Sure seems like that happens a lot at schools where I have been. I wonder why that is? 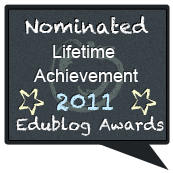 You give so much to the educator community offline and online. I get frustrated when people argue such technicalities. Really, can’t our energies be better spent arguing the technicalities of why we have filtering in our schools or why schools are evaluating teachers based on student standardized test scores. Each of us has a choice and I’m really tired by educators not being beyond these kind of arguments. Really intelligent people I respect in our PLN frustrate me when they do this because these arguments are what turn educators away from PLNs. I believe PLNs will change our education system because only through community, collaboration, and co-creation can we create education reform. You have built the foundations with Edchat, LinkedIn groups, The Educators’ PLN Ning and more for open collaboration and community. You have given educators the gift of learning environments to collaborate, a place where ideas are birth and action inspired. Continue with your leadership. When we stir the waters of change there will always be those who try to be road blocks because they don’t see the higher vision. Eventually, their eyes will stop looking at the road blocks and begin to see the goal and wider vision then technicalities like this will seem such a trivial thing. Thank you for THE insightful post. I always enjoy reading your perspective on PLNs. I think, from a collaborative/managerial/leadership viewpoint you’ve explained the name of your Ning quite well. Just for fun, from a linguistic perspective, I’ve been trying to deconstruct how “THE Educators’ PLN” is offensive or unclear to someone. “THE” is a determinative article that shows you are pointing at something already referenced. According to Wikipedia’s definition of these grammatical terms (my OED was far away), THE in this case is determining which PLN you are pointing to and not which Educator(s) because that word is an adjective in your title and not a noun. The way I have always read it is that THE Educators’ PLN is something FOR educators and not for CERTAIN educators. Your THE is about a PLN for educators not for businesspeople, politicians, or stay-at-home dads. I don’t know, I hadn’t ever thought about the THE in your title before. I don’t get any sense of singularity from it. Like you said, if someone is bent on being angry about something, then they’ll find a way to do so! Keep up THE awesome PLN! 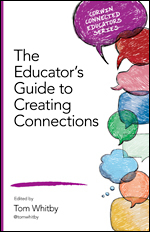 I’ll first echo others in saying that what you’ve built with “The Educator’s PLN” has been fantastic, and powerful for many educators. And of course, I am aware of all the other things you do that influence others in their learning (e.g., #edchat), including myself. And I understand the arguments put forward here that people should focus on the meaning vs. the label we place upon it. That is something I’ve always supported when the PLE vs. PLN vs. OLN etc. battle rears its head on Twitter. 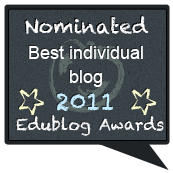 But in simple response to the title of the Ning ‘The Educator’s PLN’ – it hasn’t angered me (I think that’s a bit too strong of a word – I don’t know anyone that it has actually ‘angered’), but I’ve always found it a bit confusing in relation to my own understanding of the the term. A Ning (like this one), #edchat, Twitter, my workplace, etc., are all single nodes of my PLN – so the title of the Ning makes it sound like it is a PLN in and of itself. 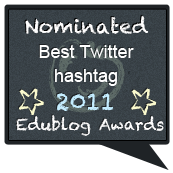 More correctly (from my perspective), it might be labeled ‘Educator’s PLN Resource’, but that just gets awkward. Do you understand what I’m saying? It’s not a PLN in itself, but rather a tremendous resource that can potentially help others construct their own PLNs (PLE, etc.). The PLN movement (if there is such a thing) should in part help people understand that there is no ONE place to learn, as you have stated clearly in your ‘understanding of a PLN from a young age’. Any discomfort of the title is likely derived from a deep hope that others will not misinterpret what this informal learning movement is all about. Thanks for all of your contributions, Tom. for so many people with so many diverse perspectives. Tom, thank you for this post. I read the Twitter “conversation” that was going on last night, and I felt that you were being unfairly targeted. I found your Ning site a while back and have thoroughly enjoyed it. Not once have I even thought twice about the name. It’s yours. You get to call it what you want. On another note, I am beginning to work on my dissertation and my topic will involve how educators are using tools such as this for personalized professional development. The entire debate on the term “PLN” is very frustrating and is something I will have to address in my study. Thank you again for your excellent post. In the end, I think it’s a marketing advantage argument. I know several people who believe marketing should be equal and nobody should have unfair advantage in the marketplace. 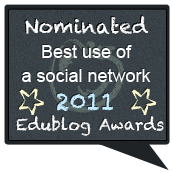 Hopefully it brings more awareness about the importance of a PLN. I belong to a Victorian Teachers’ PLN, and have had no real choice in this matter. I belong to this PLN just because I happen to be a teacher who teachers in Victoria, Australia. In this case, PLN would be Professional Learning Network. As for your ning and other online spaces and collaboration resources you mentioned, don’t worry about what others think about the names you give these resources. They belong to you but you are opening it up so others can dig in and share some of the resources you find useful. It is like Delicious, where I pick which links to add, but others can use the links I have shared if they feel they can use it. I find your blog posts and ning useful, even though you obviously don’t reciprocate this as you are not following me at the moment. This does not matter in the least, as you are in my PLN because you add value to what I am learning at this stage in my learning journey. I don’t really care what you name your resources, I am grateful you are sharing them and I can use my own mind to pick the resources that would fit in with my needs. In this sense, you are part of my ever evolving Personal Learning Network. Keep doing what you do so well, and ignore the detractors.